Former star closer Jose Valverde has been suspended 80 games after a positive drug test in the minor leagues. 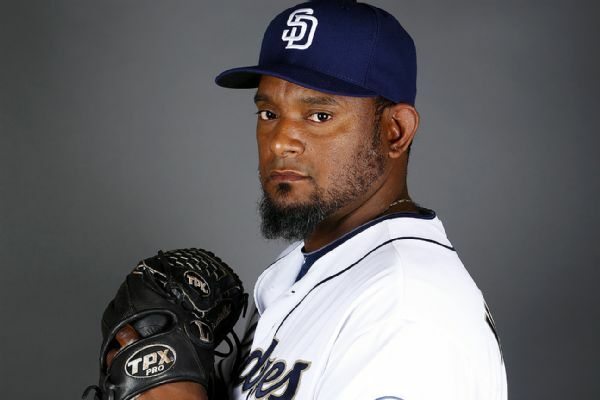 Veteran reliever Jose Valverde has been granted his release from the San Diego Padres after the team informed the right-hander he wouldn't make the opening-day roster. You can sort of feel sorry for the Detroit Tigers, even as they clinched their fourth straight AL Central title, because this one might have been their hardest-fought yet. It's the postseason. Maybe it's the wild-card game. Maybe it's the Division Series or the ALCS or even the World Series. The Detroit Tigers are leading 3-2. PHILADELPHIAFIRST PITCH: The Mets finally get a change of scenery. After a five-game series in Philly that included consecutive 14-, 14- and 11-inning games, the Mets open a three-game set against the Chicago Cubs at Wrigley Field on Tuesday at 8:05 p.
NEW YORKFIRST PITCH: No shortage of topics arose on Monday at Citi Field & and they mostly were negative.On the day Ike Davis returned as a visitor, Dave Hudgens and Jose Valverde were shown the door. The Mets made a pair of moves Monday, firing hitting coach Dave Hudgens and releasing reliever Jose Valverde, after a 5-3 defeat against the Pittsburgh Pirates on Memorial Day. NEW YORK -- Mets fans mostly greeted Ike Davis with polite applause in his first game at Citi Field since the April 18 trade that sent him to Pittsburgh. NEW YORK -- Travis d'Arnaud hit outdoors and was due to catch a bullpen session Friday as he works back from a concussion, although rain may interrupt the catching responsibility. NEW YORK -- Home is where the heartache is for the New York Mets.Rookie Rafael Montero lasted only 4 1/3 innings in his second major league start and the Mets twice flopped with bases-loaded, one-out opportunities as the Los Angeles Dodgers won 9-4 on Tuesday night at Citi Field.